As Christmas fast approaches with the descent into winter, sun worshippers will be looking for a Christmas getaway with some winter sun. The sunshine state of Florida is a great choice for this purpose, and has a little bit of something for everyone, from families to childless couples alike, while staying in the low 20c range throughout Christmas and the New Year. Here we have a brief overview of the dozens of things to see and do year-round in Florida. Florida is something of a “Mecca” of the theme park world, with more and more opening every year, they represent a great choice and are a favourite for families. From the old favourite of Disney World, to the Universal Orlando Resort, you can expect some of the craziest roller coasters, log flumes and interactive fantasy lands in the world which will delight both children and parents alike. 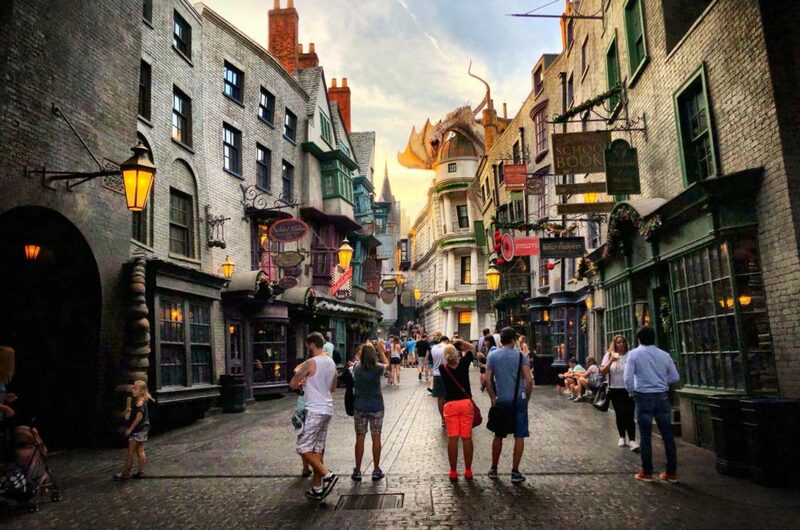 You can visit some of the Florida theme parks easily, especially if you book ahead online to avoid queues and save yourself some money as well as time. Showcasing some of the greatest rockets and other space vessels that NASA’s US space program has ever created, along with opportunities to meet space-faring veteran astronauts in person, Kennedy Space Centre will delight even those with only a passing interest in space exploration. From the biggest rocket ever built at 111 metres long the Saturn V Moon Rocket cannot fail to impress, and reliving space launches in 3-D are just a few of the impressive attractions. And if you are lucky, you may get to time your visit with when a real rocket launch takes place. A full 360-degree underwater tunnel is possibly the most spectacular attraction here, and with over 5,000 marine creatures from the Red Sea and Indian Ocean as well as the Pacific and Atlantic, the dizzying array of colourful seahorses, turtles, sharks and artificial coral reefs will wow your senses. Conservation projects are also showcased here and a number of interactive experiences can help both children and adults alike learn about the solutions to marine life habitat destruction as well as negative effects on the oceans and how it links up with climate change. Located in Daytona Beach in northern Florida, this race track is home to the annual Daytona 500 race held here every year. Nicknamed “The Great American Race”, in 2019 it will mark it’s 61st race. The NASCAR Cup series begins the season here and has sold out for the past 3 years, so you have to be quick in buying tickets to the race for the Daytona 500 Championship. This is definitely much more than just the race, with additional opportunities of visiting team garages, watching airshows and a chance to meet the drivers, as well as the option to camp over the weekend to take in all of the action. With so much to offer with a beautiful year-round climate, Florida is an excellent choice for a winter vacation this holiday season, and as you can see there’s a number of great reasons why it continues to be a hot destination for families, couples and singletons.